A Palestinian anti-corruption commission chief said on Saturday that in the coming days Jordan will hand over a number of suspects accused of embezzling millions of shekels, as part of Palestine's new abilities as a member in the UN Convention Against Corruption. Rafiq Natsha told Ma'an on Saturday afternoon that after Palestine had joined the convention, his commission renewed previously submitted applications to neighboring countries and foreign countries to return Palestinian fugitives. "We have asked Jordan officially to hand over three people convicted by a Jordanian court on suspicion of embezzling 46 million shekels ($13 million) from the PA's Petroleum Corporation. In a few days, there will be good news and we will have them," he said. Natsha added that his anti-corruption commission had also applied to Egypt to return suspects accused of stealing public money, pointing out that a few months ago an embezzler had paid 40 million dollars to the PA after an Egyptian court ordered him to do so. The convict himself will also be handed to PA soon, Natsha said. The PA is also preparing to submit applications to Serbia and Gulf states among other countries asking them to hand Palestinian fugitives who fled to those countries after suspected cases of embezzlement, the official said. "We can now use Interpol to bring back fugitives," Natsha added. Palestine applied to join the UN anti-corruption convention in late April as part of a series of applications to 15 international treaties after Israel reneged on a promise to release a fourth batch of prisoners as a part of US-backed peace negotiations. The Palestinian Authority was informed in mid-May that the country's application to the convention had been accepted earlier in the month. Despite the signing of a recent national unity agreement between Hamas and Fatah, arrests on the basis of political affiliation continue unabated in the West Bank, while summons on political affiliation continue in Gaza, a reconciliation committee alleges. Khalil Assaf, a member of the Freedoms Committee in the West Bank, told Ma'an that political arrests by security forces in the region have continued since the sign of the Al-Shati (Beach) refugee camp agreement at the end of April, albeit at a slower pace than before. Assaf stressed the need for a clear political decision to halt these arrests, highlighting that security forces continue to pursue individuals suspected of affiliation with Hamas in the West Bank on a near daily basis, especially among students and in the cities of Hebron and Tulkarem. Despite the open presence of Hamas members in rallies and protests across the West Bank in recent weeks, Assaf warned that the campaigns of arrests "strained the reconciliation atmosphere" in the Fatah-led region. 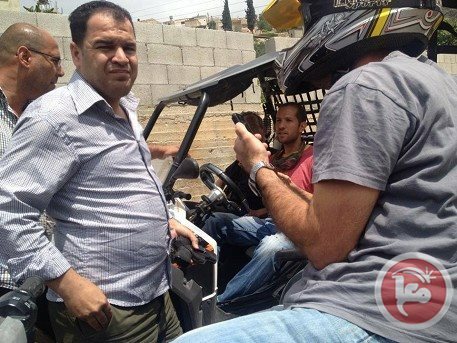 The secretary of the Freedoms Committee in the Gaza Strip Khalil Abu Shamala, meanwhile, said that although the Hamas-run government was not engaging in political arrests in the coastal enclave, summons on grounds of political affiliation continued, albeit less frequently since the national unity agreement was signed. Abu Shamala said that the Freedoms Committee, which was set up to help implement political reunification, has made a number of recommendations, especially with regards to the need to the distribution of passports to all people without exception. Currently, Gaza residents must apply for passports through the mail to the West Bank, a process which causes substantial burden, but Abu Shamala said that soon people will be able to apply through the interior ministry in Gaza. Thousands of Gaza residents have been prevented from receiving passports during the seven years of division as a result of political tensions. He also stressed that the next government will put an end to political arrests and that it will open all closed associations through the re-activation of the Associations Law. The Freedoms Committee was set up as part of previous national reconciliation efforts in order to ensure the release of all political prisoners as well as to ensure the increase in political freedoms, the end of newspaper bans, and the reopening of charities and other bodies closed during around seven years political division between the Fatah-led Palestinian Authority government in the West Bank and the Hamas-run Gaza Strip. The committee's work has become more urgent since the April 23 deal of national unification was signed by the two largest Palestinian political movements, Hamas and Fatah. The deal gave both sides five weeks to set up a government of national unity. 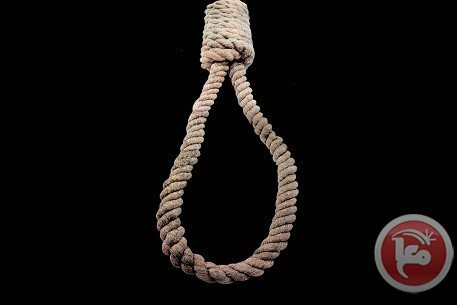 A court in Gaza City on Saturday sentenced a man to death by hanging after he was found guilty of premeditated murder, a Ma'an reporter said. The man, identified only as I.M., was convicted of killing Gaza police officer Sami Suleiman al-Rawwagh in 2008. Al-Rawwagh died of several gunshot wounds to the upper extremities near the village of Umm al-Nasr in the northern Gaza Strip. A prisoner held in a jail in the northern Gaza Strip died early Friday, Gaza's ministry of interior said. Ministry spokesman Iyad al-Buzm said forensic tests showed that the 28-year-old prisoner died of heart failure. 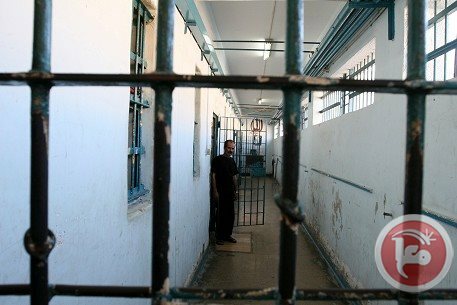 A 34-year-old prisoner died of a heart attack in jail in the northern Gaza Strip on May 14, the ministry said in a statement at the time. 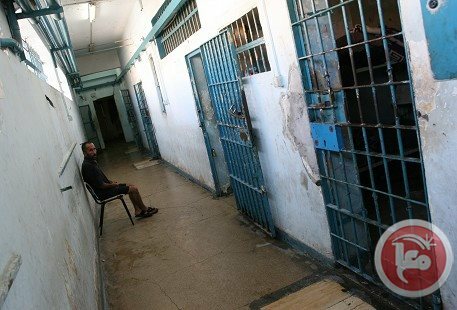 A prisoner held in a jail in the northern Gaza Strip died early Wednesday, Gaza's ministry of interior said in a statement. The prisoner, identified only as S.H., was 34 years old and died of a heart attack, the statement said. His body was delivered to his family in the Bedouin village of Umm al-Nasr in the northern Gaza Strip. The man was detained about two weeks ago, locals told Ma'an. 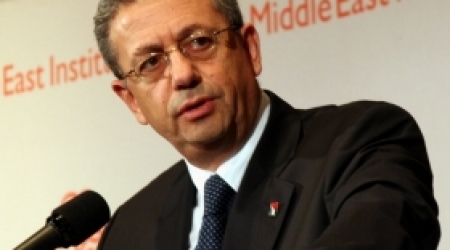 Mustafa Barghouti, Head of the Public Freedom Committee, said that 40 youths are still politically imprisoned in PA prisons in the West Bank. He assured that efforts are being made in order to end their case. “The number of political prisoners are less than ever in the West Bank. We are working to end this file.” Barghouti said. 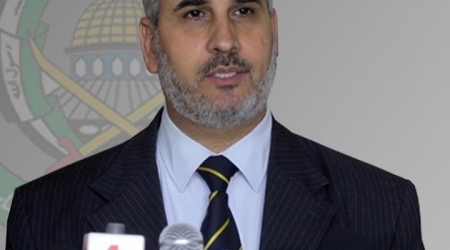 In a separate development, member of Fatah Central Committee, Azzam al-Ahmad, will visit the Gaza Strip next week to discuss forming the national consensus government. 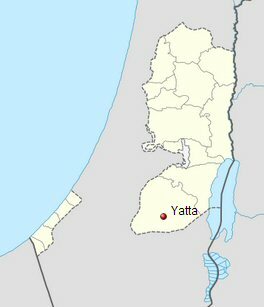 The Palestinian Center for Human Rights (PCHR) has called upon the Attorney General to open a serious investigation into incidents which took place in Yatta town, near Hebron, on Monday, 05 May 2014. The incidents include beatings, arrests, house raids, and destruction of civilians’ belongings by security services. PCHR calls upon the government in Ramallah to take serious steps in compelling members of security services to respect the rule of law and human rights principles guaranteed under the Palestinian Basic Law and international standards. According to investigations conducted by PCHR and testimonies of victims and eyewitnesses, at approximately 09:00 on Monday, 05 May 2014, a force from the Preventive Security Service (PSS) intercepted a red Chevrolet Cavalier near Mothalath al-Mazra’a area in Yatta town, Hebron, for raising Hamas flags. The occupants were on their way to participate in a sit-in organized in solidarity with their relative, Zaid Ismail Abu Fanar, at his father’s house, in the Fatouh area of the town. Zaid Ismail Abu Fanar is one of the administrative detainees in Israeli prisons who have been on hunger strike since 24 April, 2014. PSS officers ordered occupants to get out of the vehicle, but the driver, Mohammed, moved away quickly when Noor Ismail Abu Fanar (14) stepped out. The officers chased Abu Fanar’s car in a Volkswagen mini bus for about 3 km, until they reached the Fatouh area. The PSS bus hit Abu Fanar’s car several times from behind, in an attempt to stop it, until Abu Fanar’s car crashed into the wall. The PSS officers got out of their car, took Mohammed his, and began assaulting him with their legs and rifles. His wife, Hanadi, tried to defend him, but they pushed her. As a result, she fell to the ground and fainted. Some civilians tried to intervene in an attempt to push the officers away from Abu's family, but they opened fire to disperse the civilians, who threw stones at the PSS members. As result, the PSS car was crashed. A joint force of security services comprised of the PSS, the National Security Force, and Special Police raided the Fatouh area of Yatta town, accompanied by a bulldozer. They raided and searched a number of civilian houses, from which they arrested a large number of civilians. Hana Saher Awad was beaten up by the security members after they raided and searched her house without a warrant. Members of the force crashed a number of Mercedes cars belonging to civilians in the area, including a 608 Mercedes white bus belonging to Ismail Sameh Abu Fanar. In addition, the bulldozer caused damage to a number of unlicensed cars which are used by mechanics for spare parts. On the same day, at approximately 22:00, a joint force raided Ismail Abu Fanar’s house in Zeif area in Hebron, where the solidarity tent is set up in solidarity of his son Zaid. They dispersed all people in the tent by firing live bullets into the air and launching tear gas canisters. Abu Fanar was beaten with a torch by the security officers. On Tuesday, 06 May 2014, four civilians were released while 20, so far, have been in custody. Calls upon the government in Ramallah to take serious steps to compel members of security services to respect the rule of law and human rights principles that are guaranteed under the Palestinian Basic Law and international standards. Jerusalem Post Hebrew newspaper claimed that PA forces in Qalqilya discovered a cell of four Palestinians, including one from 48-occupied territories, which was planning to carry out attacks against Israeli targets. The cell was arrested in November 2013 by PA forces who then handed the case to the Israeli authorities, which arrested them later, according the newspaper. The Israeli court charged on Wednesday the cell members with making remote-control explosives, grenades, and other explosives to carry out attacks against Israeli targets. 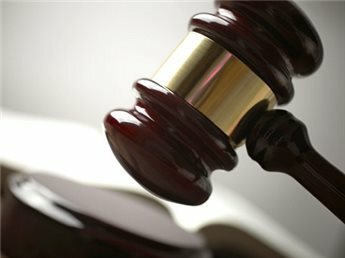 "The Central District Attorney’s Office filed an indictment with the Lod District Court on Wednesday against Khaled Daoud, 21, for his involvement in the cell, including charges of manufacturing and attempting to manufacture weapons as well as conspiracy to commit a felony," according to the newspaper's allegations. The Israeli General Security Service has claimed few weeks ago the detention of a Palestinian cell in Qalqilya. Spokesman for the Israeli government stated that the cell members were arrested and investigated by PA forces and then detained by Israeli forces shortly after their release. Authorities in the Hamas-run Gaza Strip on Thursday executed two men for allegedly collaborating with Israel, Gaza's interior ministry said in a statement. The last execution in Gaza, in October, was of a man found guilty of murder. One man, identified by the initials Z.R., was executed for recruiting collaborators for Israel and for providing Israel with information on "resistance workshops and tunnels," which led to the death of several people, according to the statement. The other man, identified as A.K., provided information for Israel that led to the death of Palestinians. Z.R. was shot, while A.K. was hanged after the Gaza court sentenced them to death. They were both collaborating with Israel for over 9 years, the statement added. Although the death penalty is enshrined in the penal code of the Palestinian Authority, it requires the approval of the president. Since Mahmoud Abbas' mandate was set to expire in 2009, the Hamas-run interior ministry in the Gaza Strip has carried out the death penalty since then without the approval of the PA leadership. Since 2005, the PA has not carried out any executions, while according to Israeli human rights organization B'tselem, Hamas authorities in the Gaza Strip had carried out 16 executions since that year as of Oct. 2013. 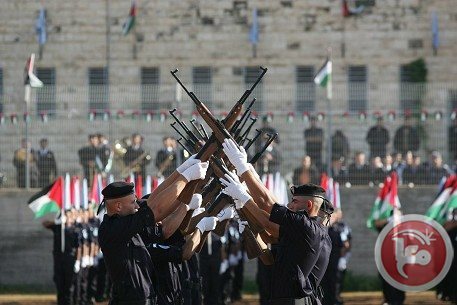 Palestinian government in Gaza has called on the PA in Ramallah to work seriously to end political detention that "distorts the Palestinian cause and national reconciliation," demanding the release of all political prisoners in PA jails according to reconciliation agreement signed in the Gaza Strip. 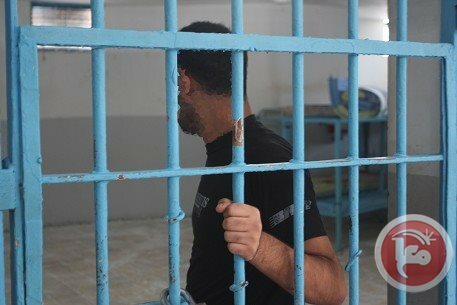 In its weekly meeting on Tuesday evening, Gaza government denounced the PA continued political arrests in the West Bank, where 50 Palestinians were arrested recently in al-Khalil, some of them were taken from hospital beds. Since the signing of the reconciliation agreement, 65 political arrests and 45 summonses were reported in the West Bank. The government said that it had taken practical measures to ensure success of the reconciliation agreement, including the release of a number of prisoners and allowing a West Bank-based newspaper, Al Quds, to resume distribution in the Strip. 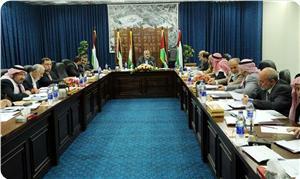 It called on the PA in Ramallah to take similar steps and accelerate the release of political detainees in its jails. Regarding the financial crisis, the government pointed to its efforts made to overcome the siege implications on the Strip. On the other hand, the government renewed its total support for the Palestinian administrative detainees' hunger strike now on its 13th consecutive day, warning the Israeli occupation authorities (IOA) of not meeting the striking detainees' legitimate demands. The government called on the United Nations and international organizations to exert pressure on the IOA in order to achieve Palestinian administrative detainees' legitimate demands guaranteed by international laws and conventions. On the 66th anniversary of Nakba, the government hailed the steadfastness of the Palestinian people, stressing its adherence to Palestinian constants and right of return. In another context, the government strongly denounced the Israeli intention to introduce legislation that would declare Israel as a “Jewish state”. Member of Hamas's political bureau, Dr. Mousa Abu Marzouk, has said that practical steps had started on the ground for the implementation of national reconciliation, amid a positive atmosphere. He stressed that the next government will work on improving relations with Egypt. During a meeting with the elders and notables of Khan Younis City on Monday, Abu Marzouk stated that practical steps for the implementation of national reconciliation have started on the ground including the release of political detainees and the return of banned newspapers to Gaza Strip and West Bank. He expected that all political detainees would be released within two weeks whether in Gaza or West Bank. The reconciliation agreement has determined the next government's powers and missions including unification of ministries and institutions and preparing the election atmosphere through the release of political detainees and ensuring public freedoms, Abu Marzouk said. He said that the unity government will work on finalizing laws and regulations regulating general elections, opening all border crossings particularly Rafah crossing, and resuming trade between the West Bank and the Gaza Strip. The consensus government would be composed of independent figures who have no relation with the political division, he said, pointing out that it will be a temporary government that has no political agenda. Abu Marzouk added that the next government will work on solving problems with Egypt, stressing the importance of Palestinian-Egyptian relations. Palestinian reconciliation would provide a new page in Palestinian relations in the region, especially with Arab countries that represent the major supporters of the Palestinian cause, he underlined. The committee entrusted with reactivating and developing the PLO will meet in a month in order to re-establish the Palestinian National Council, ensure the implementation of reconciliation agreements, and set up strategies for the next phase based on a joint national program, the senior Hamas leader proclaimed. He stressed the need for the establishment of a national fund to compensate victims of internal division. National reconciliation is not a political issue between two factions, but it is rather reconciliation between all Palestinian people to live in harmony, he said. Abu Marzouk renewed his movement's adherence to resistance option "as the only way to defeat the Zionist project and defend the Palestinian people." On the other hand, Abu Marzouk visited on Monday Gaza Palestinian Businessmen Association, where he stressed that all decisions and laws made during the years of Palestinian internal division could be reconsidered including customs laws and security regulations. He stressed importance of implementing reconciliation between all components of the Palestinian people particularly the private sector and economic institutions. He praised Palestinian businessmen's important role in building the Palestinian economy and institutions, calling on them to play a role in implementing the reconciliation agreement especially that they constitute the important component of the Palestinian civil society. For his part, head of the association Ali al-Hayek said that the Palestinian private sector was dramatically affected due to the Israeli aggression and siege in addition to the internal division, noting that 1,400 factories were destroyed in Gaza during Israeli aggressions. The closure of Gaza border crossings has led to heavy financial losses, more than 50% of projects were halted with poverty rates soaring above 40%, he added. Al-Hayek also mentioned Palestinian Businessmen Associations efforts in implementing reconciliation agreement and uniting Palestinian factions and forces. Spokesperson of the Islamic Resistance Movement Hamas, Fawzi Barhoum, said Fatah security services arrested ten and summoned 14 of Hamas members and supporters since April's unity deal. He explained that Azzam al-Ahmed , Fattah senior member , did not give him a clear answer about the political detainees in the PA West Bank prisons. PA security arrested 10 Hamas members, summoned 14 others and try to capture others who participated in the funeral of the martyr Ezz Eldeen Masri's, He pointed out. 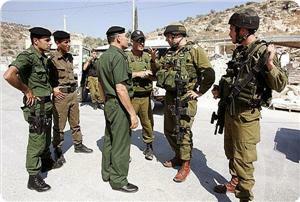 “Doesn’t Hamas have the right to criticize such actions by PA security ," he said , asking for an explanation from Fatah. 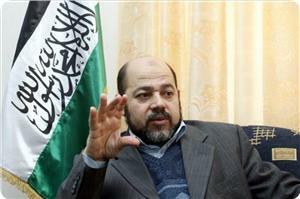 The Hamas-run Gaza government released six prisoners affiliated to the Fatah movement on Monday, an official said. Iyad al-Bazim, spokesman for the Gaza ministry of the interior, told Ma'an that the prisoners had received a pardon from Gaza Prime Minister Ismail Haniyeh as part of the April 23 PLO-Hamas unity deal. The six were convicted of various felonies, al-Bazim said, without elaborating. They were identified as Alaa Majid Siyam, Sami Jabr al-Nakhala, Mahmoud Kamal al-Buheisi, Muhammad Shehda Abu Omra, Abd al-Aziz Nayif al-Sharafi, and Abd al-rahman Khaddoura.